Julian Trevelyan and Mary Fedden were not only eminent British artists of the 20th century, but were partners in marriage who through their frequent visits to Malta and Gozo depicted our islands. 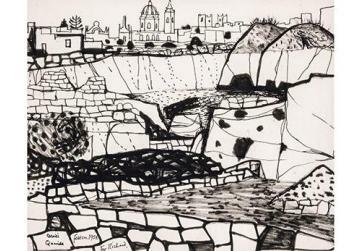 They were formidable artists, each with different formative backgrounds and who retained a distinctive style, at times transposing from a fluid, figurative manner to occasionally, a more semi-abstract interpretation of the Maltese landscape, a landscape which they had the opportunity to experience during the period from the late 1950s to the mid-1970s. As an artistic tandem they have bequeathed us a stimulating visual record of landscapes that now exist only in our memory, as with the passage of time these settings where irretrievably mutated by the unbridled building development boom. 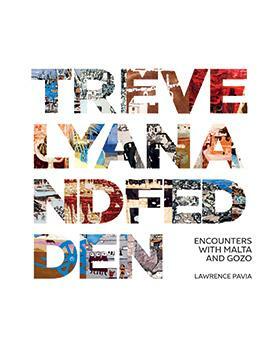 Trevelyan and Fedden: Encounters with Malta and Gozo, published by Fondazzjoni Patrimonju Malti, is an impressive tome replete with large-format reproductions of the artists’ paintings and etchings, the vast majority printed in colour but also including an extensive selection of pencil drawings reproduced from several sketchbooks by Trevelyan’s hand and that are being published for the first time. This book is the culmination of almost a decade of meticulous research conducted by Lawrence Pavia. The author had researched the subject matter for his Master’s degree in History of Art within the Department of History of Art at the University of Malta, a thesis that was awarded a distinction for its impeccable scholarly research and analysis. His thesis formed the backbone of this book. Pavia was assiduous in his pursuit of presenting the most comprehensive exposition of the artists’ prolific output as it related to the Maltese islands. He skilfully weaves an analytical narrative of how the husband-and-wife tandem, while each retaining their artistic autonomy, engaged in a dual synergy that enriched each other’s corpus of work. Trevelyan had a distinguished career as an etcher, with a prolific output of etchings based on his overseas travels. As regards Malta, he produced two sets of etchings, the First Malta Suite dates to 1959, while the Second Suite dates to 1970. All the etchings are reproduced in full detail and colour. Furthermore, having access to Trevelyan’s sketch notebooks, Pavia makes a convincing argument that a number of these freehand sketches were preparatory studies for the eventual etchings and even included specific handwritten notations pertaining to form and colour. The etchings in both suites, as well as other paintings in the medium of oil on canvas or watercolours, depict favourite themes such as the silhouettes and skylines of traditional Maltese towns and villages, stone quarries, rural scenes characterised by windmills, rubble walls, prickly pears, donkeys with carts, and herds of goats. Trevelyan’s and Fedden’s works are not intended to be perceived as an accurate pictorial representation of reality; they are depicted in a deceptively simplistic manner akin to a child’s drawing, removing and banishing the superfluous while retaining the essential. They were interested in conveying the zeitgeist. Their works are, in the main, two-dimensional abstract representations of landscapes that today have been consigned to the vaults of our collective memory – to be appreciated with a dose of nostalgia as an irretrievable loss of our innocence and traditional way of life, so willingly sacrificed in the name of so-called progress. Pavia has the distinction of being the last researcher to have interviewed Mary Fedden at her London studio prior to her death in June 2012. The interview was of paramount importance in shedding light on the special relationship and collaboration between the two artists. The author did not limit himself to an appraisal of their work. He consciously maps out the socio-economic and political milieu that Maltese society found itself in during this pivotal transitional period, a period which led to the granting of independence from Britain in 1964, and in the immediate post-independence period with Malta striving to establish itself as an independent island-state. In the foreword to the book, Philip Trevelyan, son of the artist, refers to Pavia’s deeply sympathetic and focused writing [that] is a vital reminder that during a period of huge changes in society, an artist’s work can be a great contributor to our understanding of values lost or gained”. The paradox lies that whereas this volume is essentially a celebration of the artistic corpus of these two British artists, it is as much a unique distillation of what constitutes the ethos and spirit of the Maltese landscape and society at the time. Fondazzjoni Patrimonju Malti are to be commended for yet another splendid production of a major art-historical volume, impeccably researched, analysed, collated, and designed. It addresses what was previously a lacuna in Maltese art historical studies, specifically that of British artists operating within the post-war Maltese context. Although there have been individual monographs on Mary Fedden and Julian Trevelyan, this volume is the only volume that covers in a comprehensive manner all their work in relation to Malta and Gozo. It will certainly serve as the standard reference work on the subject matter for many years to come. Conrad Thake is an architect and associate professor in the Department of Art and History of Art, Faculty of Arts, University of Malta.